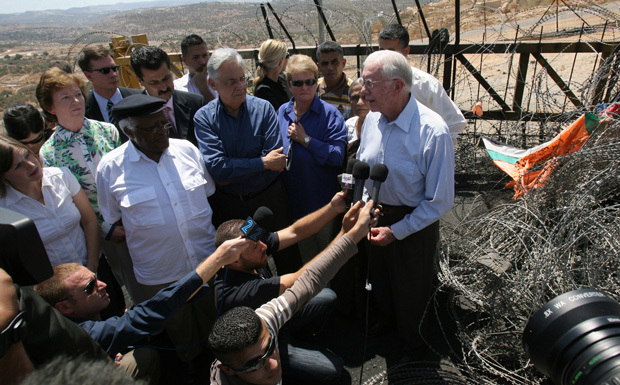 Jimmy Carter with fellow Elders on delegation to Israel-Palestine in 2009. Jimmy Carter is stepping down from his front-line role as a member of The Elders, the organisation announced today. The former President of the United States, 91, will hold the title of honorary (“Emeritus”) Elder as of 1 June 2016. The Elders wish to pay tribute to Jimmy Carter’s inspiring and tireless work for the organisation since it was founded in 2007. He has brought his immense experience and expertise to bear on the complex geopolitical issues at the heart of the organisation’s work, and has also been a passionate advocate for women’s rights, social justice, action on climate change and other core Elders' values. A forthright and principled advocate for human rights and democracy, Jimmy Carter took part in the very first Elders’ mission to Sudan in October 2007, highlighting atrocities and the displacement of millions of people in Darfur. 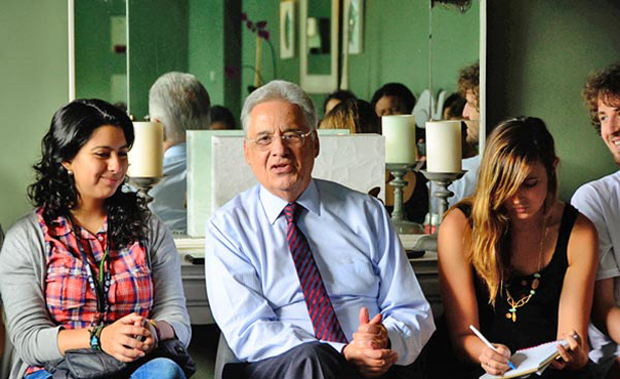 He has also played a key role in every Elders’ delegation to the Middle East, most recently in May 2015 when he led a delegation to Israel and Palestine to draw attention to the humanitarian disaster in Gaza and support those on both sides who favour peace and a two-state solution. This came straight after Jimmy Carter’s participation in an Elders' meeting with President Putin in Moscow, aimed at securing greater engagement on the Syrian crisis. Jimmy Carter with Nelson Mandela and fellow Elders in May 2010.